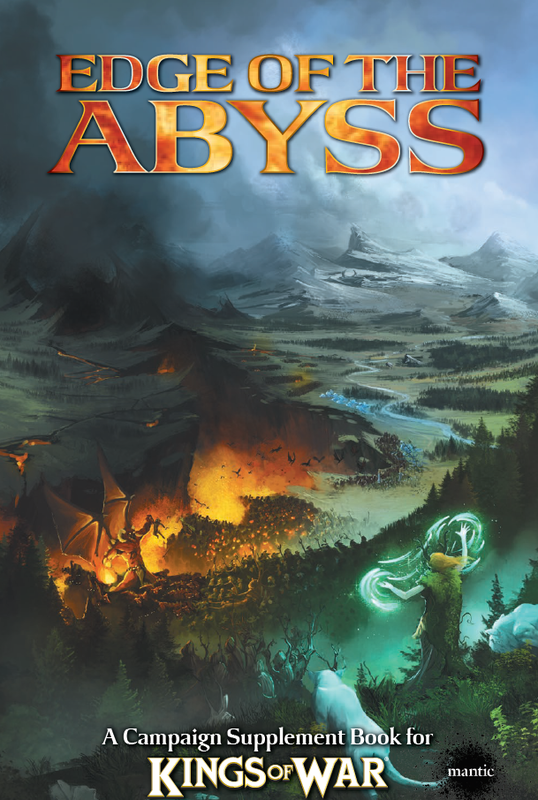 This first global Kings of War campaign, Edge of the Abyss, is over! While we don't know yet what is going to be the exact impact of the result for the world of Mantica, I would like to share my own experiences after participating in the campaign. First of all, I was very happy the campaign was organized and the additional supplement was released. From my personal point of view, campaigns and supplements are perfect because I don't need any new miniatures at the moment. But spicing up the game with new stories and ability to take part in shaping up the future of the world - now that is temptation I don't even try to resist! I immediately ordered the supplement and was very lucky that there were a lot of local players who wanted to participate too. I would like to stress out that this post is my feedback on the campaign. I do hope it will be of some use to game designers as I think the campaign was a fantastic idea. I would love if they had an annual event like that with more and more players participating and more and more exciting new releases accompanying the event. I don't think I had any particular expectations. I believe I simply assumed that the first campaign is to the waters and see what kind of feedback can be obtained. As such it is more of a reference point for the future. It does not mean it is not important, quite the contrary. If the first installment is bad then it would be very hard to convince players to participate again. But from my personal point of view I simply wanted to play some games in particular settings and see how much I would enjoy them in comparison to casual or tournament games I have played so far. I like the idea of introducing new heroes to the campaign as that always adds more character to the story line (pun intended!). 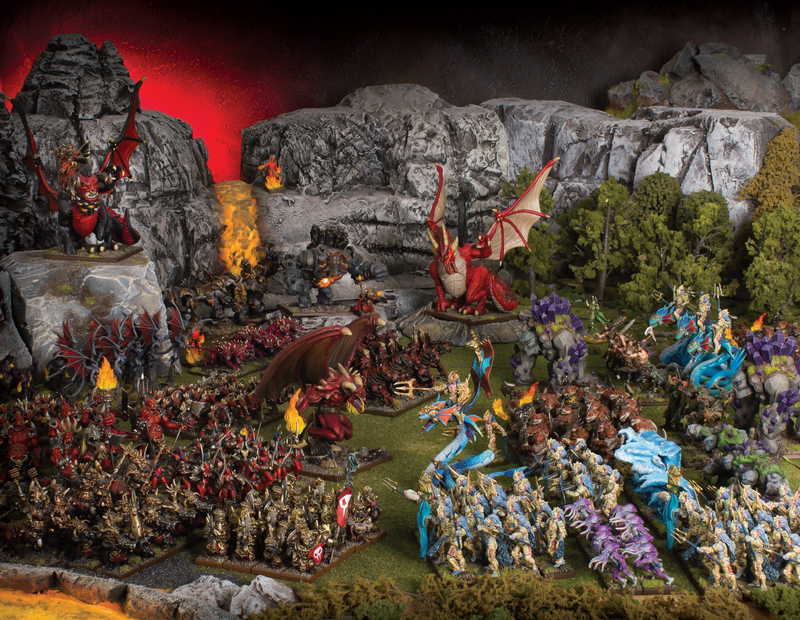 The miniatures I saw for some of them look very nice too so if I were to collect any of the armies for which they were made I would definitely buy them. I liked the idea of formations even more because I always prefer to play with units. I think it was implemented in a very nice way, where the units benefited from some special rule but had to pay for it. Surprisingly, my opponents didn't really take them. I must say I am not sure if that was the case for other groups and players but I don't think people used the formations that much locally. Personally, while I liked the addition of heroes and formations related to them, they didn't quite fit in my own theme for the army. I prefer to play with the units that build their own reputation and fame and maybe even a story line. Hence I didn't feel it is appropriate to use Green Lady for instance. At the same time, I don't use horde formations so some options were also not that attractive to me. I do wonder how other players approached these options though and if the formations were popular in their games or not. This part of the campaign book was the most interesting for me because I hoped to play all of them once. My plan was to play one game per week so that I could also contribute with battle report writing. I ended up playing 5 games and missed out on scenario 6 and big, multiplayer game. In general, I must say that unfortunately I was a little disappointed with the scenarios. I don't mind playing Kill scenario, for example. I haven't played it for a while since the events I participated in do not use this scenario and in casual games, with more scenarios added by CoK2017 rolling a '1' is less likely. But having Kill as scenario in 3 battles seemed a bit too much. I hoped that scenarios would add to the story line and reinforce the feeling of participating in a global conflict where each battle may and will influence the overall result. However, very often I also found that apart from the title and the brief description of the theater, there was nothing special about the game. One needed to field a particular faction to be affected by the scenario special rule. Only in game 3 it was not restricted to one or two armies. 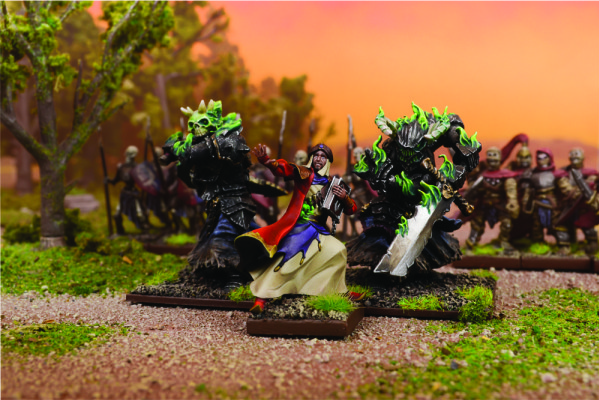 While in game 4, the Twilight Games, it felt a bit odd when one of the main opponents in the narrative, the Night Stalkers, did not get any special rules. Instead, Undead did. I must also say that the special rule my army, Elves, was affected by in this game, has never been used. I understand that preparing scenarios that are well designed for all factions is difficult. I wonder then if it was not a better option to use ready scenarios rather than mainly Kill. Possibly with some additional rule that affects all the armies so that the connection with the campaign is stronger. It's a pity that the website to support the campaign was launched with a delay. As the players had to spend some time to learn how to use it, it also meant that effectively the campaign was half way through when the website was in full use. I liked some features that were designed (I think!) to encourage people to post more and discuss the campaign. It was nice to unlock achievements and share the battles. For that purpose I actually added very short versions of the reports so that I could submit the result as soon as possible. Often the fill report was only ready a few days later and I didn't want to copy and past it to the campaign website. In general, I liked the way it looked, it was relatively straightforward to submit the result of the battle and I liked some graphics to help to visualize the situation in different areas. I think it is up to Mantic to decide how to use the data they obtained during this campaign. I hope it will be useful because now they have good idea on how many battles were played, which scenario seems to be the most popular, what armies were represented and how many players participated. What I missed a bit during the campaign, however, was the support and more official announcements. It was great to see new models released before and during the campaign but obviously that created more excitement among players for whose armies these models were designed for. On the other hand we as participants received very few official announcements. I did not quite expect that every week there will be special rule for either good or evil. But I did expect that there would be a nice summary of events at least once a week. The updates that we received were simply stating what the campaign map was already showing. Even highlighting some event people organized in the frame of the campaign (such as in the case of International Campaign Day) or particularly nice report would be great to show that whatever is submitted actually matters. In general, I want to highlight that I had a lot of fun playing the games and contributing to the campaign. I really think this should be an annual event because otherwise it is really easy to think that the only types of events a person can participate are tournaments. 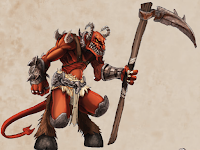 The campaign gives a nice opportunity to play with that often neglected, narrative part of the hobby and to play in a more relaxed environment too. I would have liked the experience even more if the scenarios were more varied and if the website was up and running a week before the official date so that we could have time to get familiar with it. Campaign books will always be on my "to buy" list because this is the best way I can support the company that produces my favorite game. 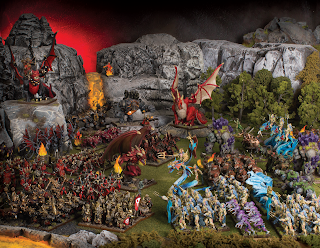 Such supplements have the chance to reach a lot of players simply because they are not necessarily single faction focused, as by default has to be the case with the miniatures. I really appreciate the effort all the people involved in the campaign put into it. I am happy the book was released and I wanted to thank everyone for it! At the same time my enjoyment would have not have been even close to what it was without local people who rallied the players and did some organizing in order to accommodate those who wanted to participate. Many thanks to Tas and Chris for organizing gaming nights, guys from Three D6 and Jolt for allowing KoW players to play in their great stores and all my opponents, Mark, Tas, Chris, Jules and Christo for fantastic games! 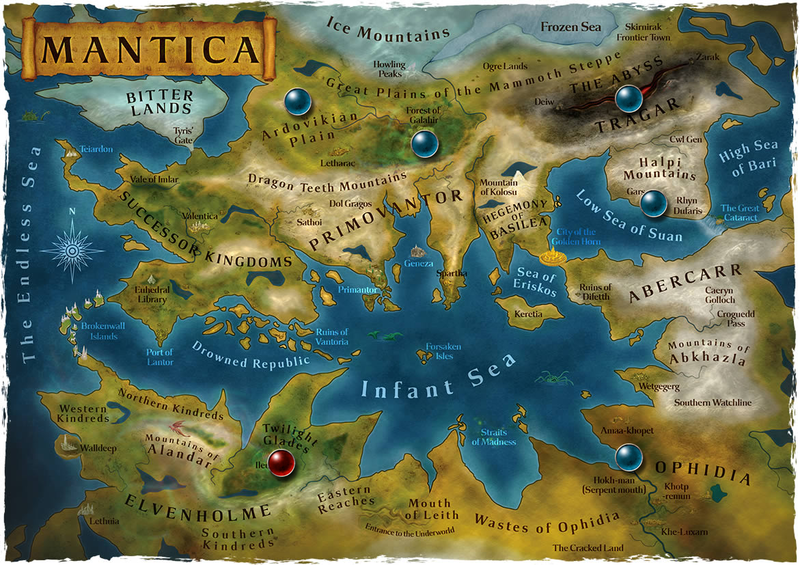 I am now very curious how the results of the campaign are going to shape up the future of the Mantic world and a fantastic game of Kings of War! Glad you enjoyed the event. I do love a good campaign, great for getting players enthused with the game and bringing people back to playing. I need to have a think about running another campaign when I get set up in a new gaming club. Believe it or not but somehow I have never participated in any campaigns! This time it was quite important for me to support what I think is a great initiative. I do hope that Mantic will organize such event annually. I know local TO's also are interested in running a campaign on their own, simply to add to the variety of the local events and get more people participating. Now it remains to be seen what the results of the campaign are going to bring to the game and narrative!